This book gave me serious anxiety! This is a novel of political intrigue, espionage, and loyalty. The Cruel Prince has a Game of Thrones meets scary-faerie-world vibe. And honestly, that's exactly what I showed up for. The story centers around Jude who, after her parents were murdered, was taken to live in Faerie along with her two sisters. She's grown up the daughter of nobility and has been educated with other Faeries but she is not considered one of them. This really bothers Jude. She is determined to win her place at court. Carden was my favorite part of this story. He began as the best kind of villain and morphed into someone tolerably relatable. I liked the bits that included him the most. I also relished in Jude's hatred of him. Holly Black does a great job of describing Jude's dislike of Carden and how he has shaped her opinion of Fey nobility. The world building in this novel was utterly magical I haven't read a good book with Faeries as the main element in a long time. I usually find the stories slightly unbelievable and they just don't pull me in. This novel pulled me in and never let me go. From the outset, it is fast-paced forcing you to never truly trust anyone, even the world around the characters. It felt like everything was out to get Jude. Some of which Jude brings on herself. Overall, this was a fantastic book. I was sad when I finished reading because I wanted to know more about Jude, Carden, and the throne. 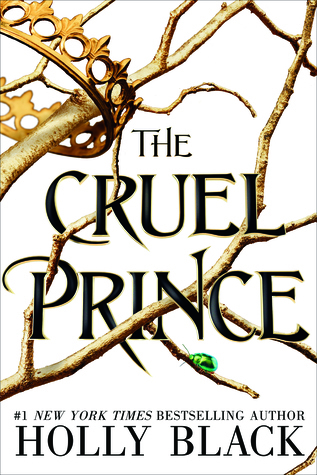 If you haven't had the chance to read any of Holly Black's work I think The Cruel Prince would be a splendid introduction.